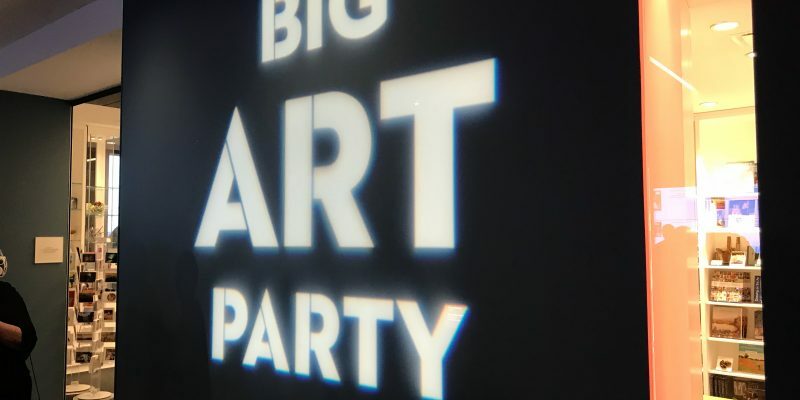 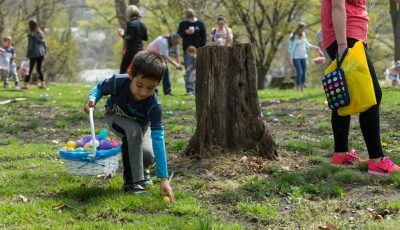 The Big Art Party Delivered Big! 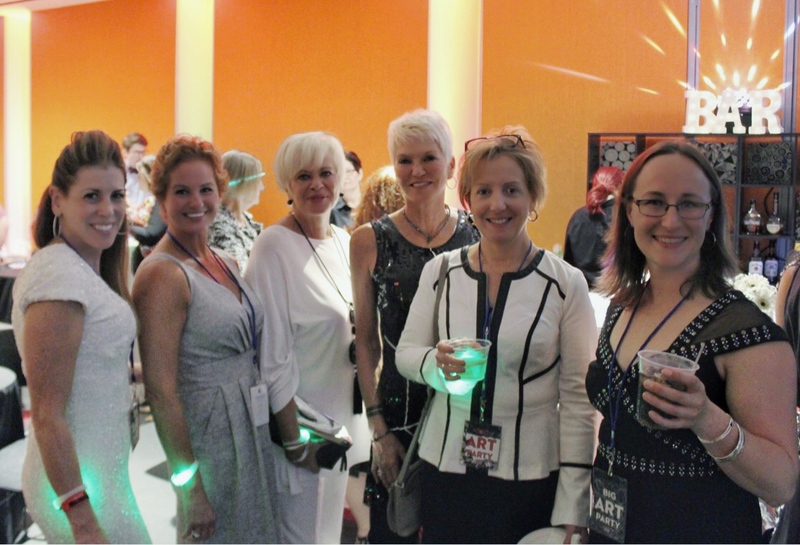 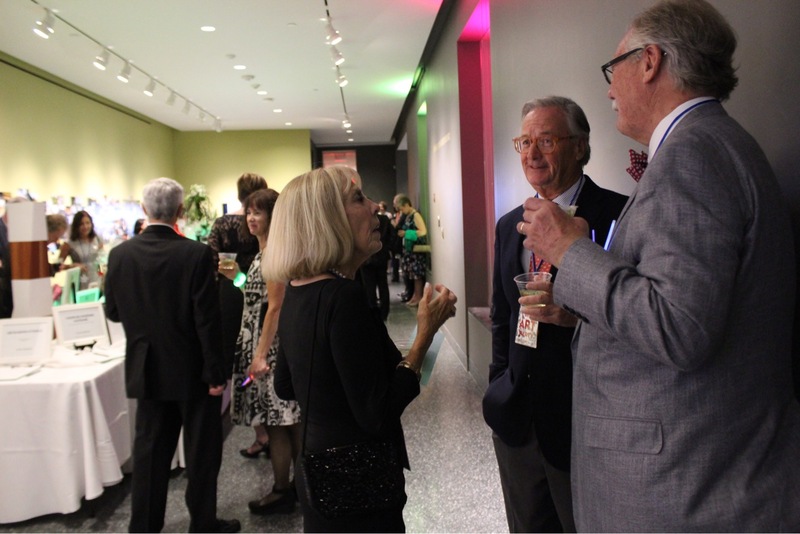 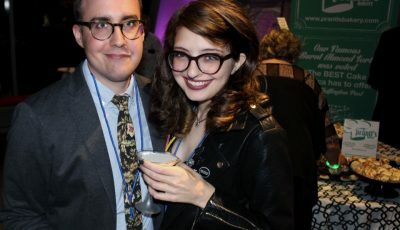 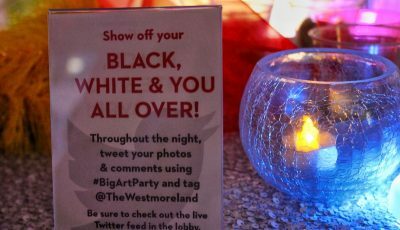 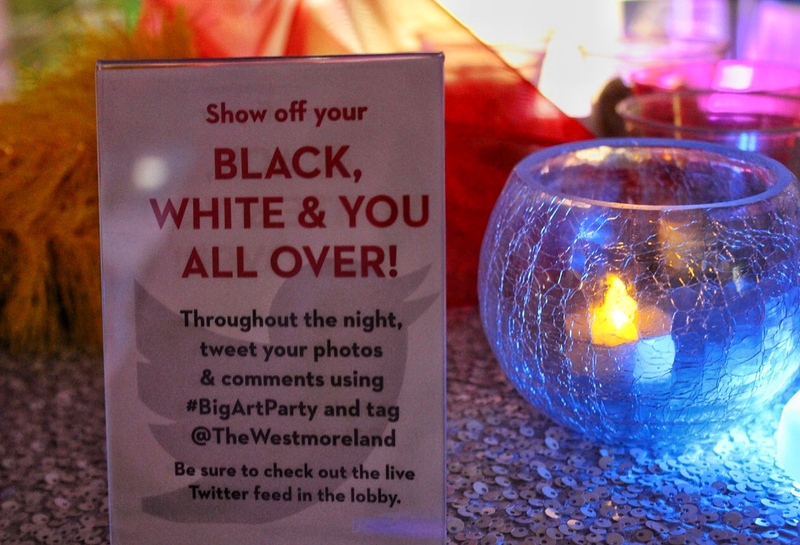 Black, White and Art All Over was the theme for the evening this past Saturday at The Westmoreland Museum of American Art‘s Big Art Party, and it really delivered, making it, in our opinion, the event of the year. 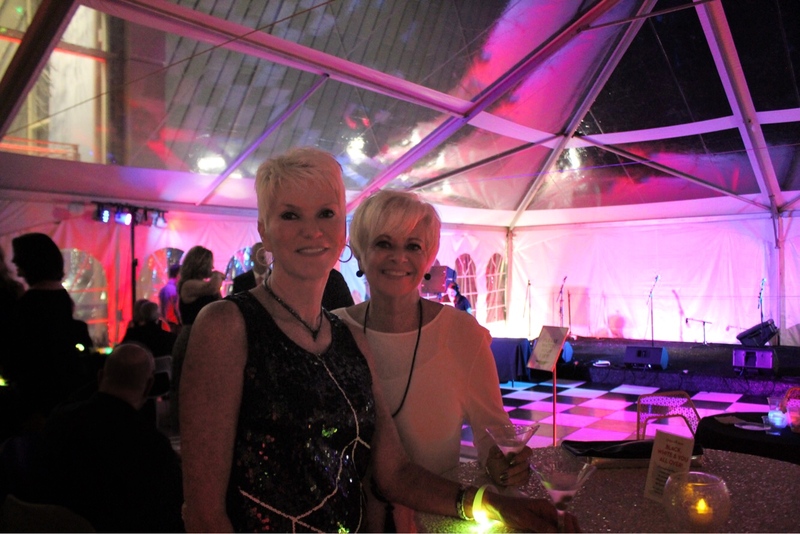 Diverse and exciting performances peppered throughout the evening created an electric atmosphere in the museum and outdoor event area. 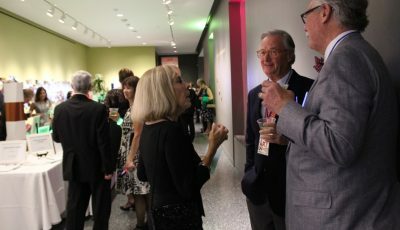 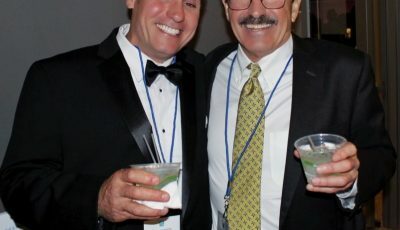 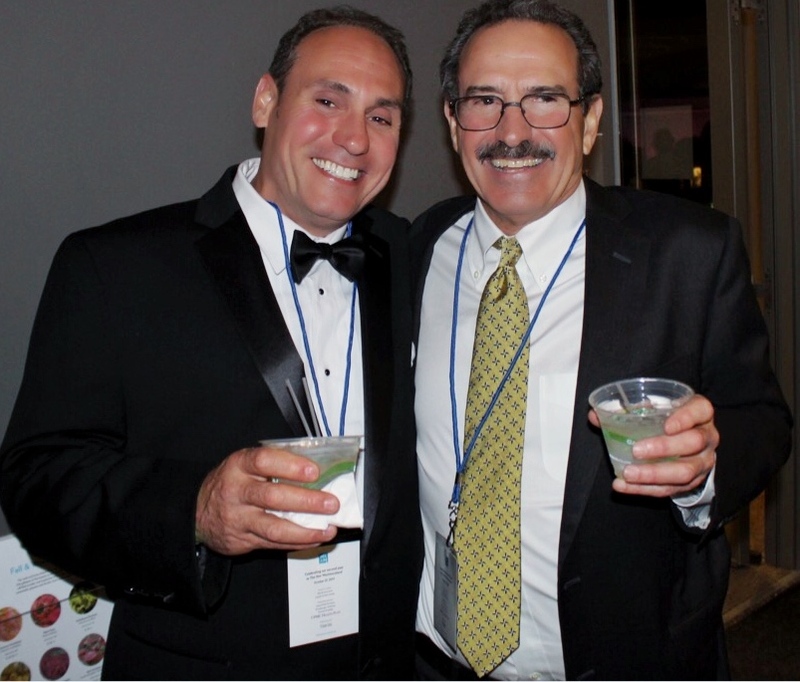 Two Tall Twins, a dynamic duo that transcends genre based out of Pittsburgh, captivated VIP guests upstairs in the gallery while in the community room they enjoyed specialty cocktails, champagne and hors devours by All in Good Taste Productions. 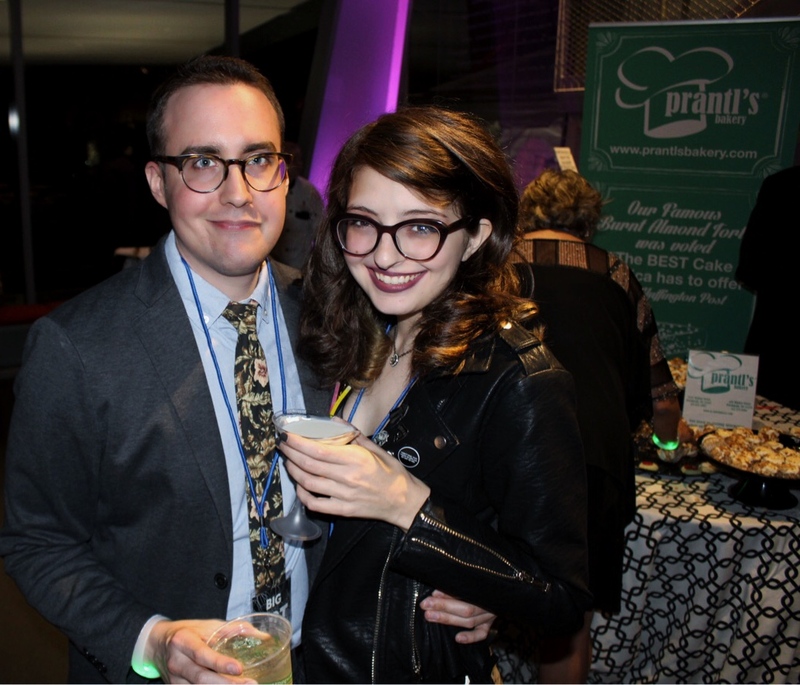 Prantl’s Bakery, who will open a store front in the future at their Greensburg production location, provided delectable desserts, including their famous burnt almond torte, in mini form. 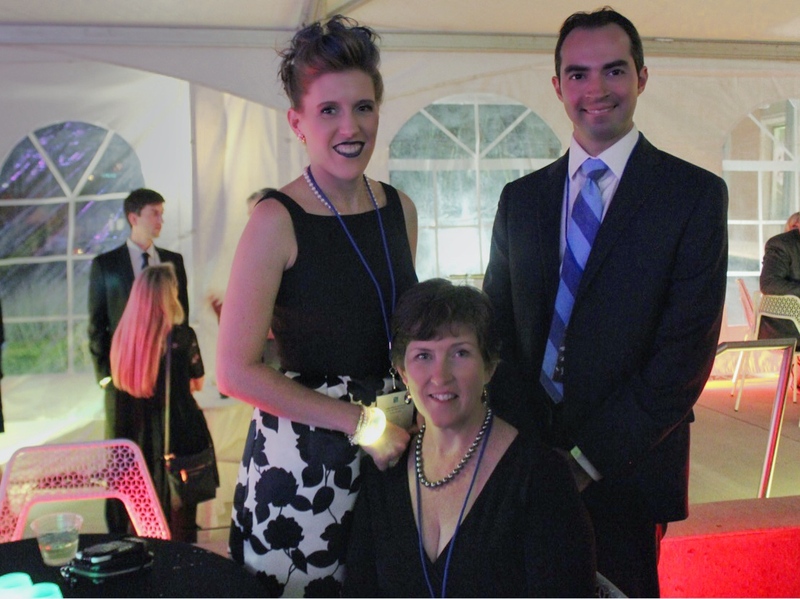 The evening continued with the Big Art Dance Party, held in the Terrace Tent with a performance by Seton Hill Dance and Electro-Swing by DJ KellyA. 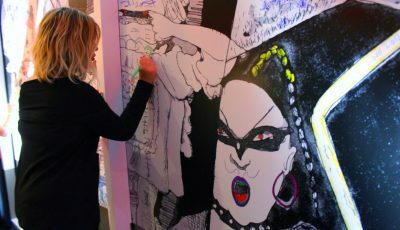 The community room was treated to a rousing performance by the Neon Swing X-perience along with a Color Me In Activity where guests were encouraged to transform a black and white art piece into a vision of color. 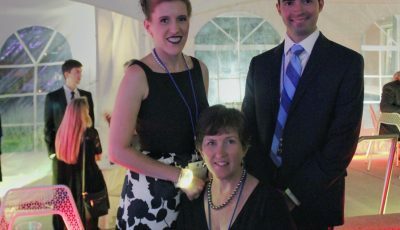 Throughout the party, FitnessEnvi, a unique Greenburg fitness studio owned by Aubrey Worek, performed aerial acts on a hoop in the stairwell and poles set up in the Terrace Tent, demonstrating the artistry and flexibility that is taught at her studio. 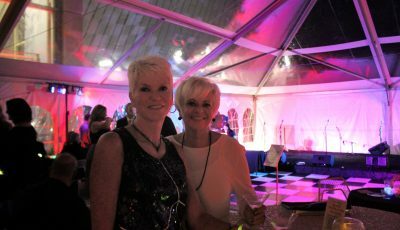 As the evening went on, the Big Art Party got bigger and better, like the amazing performance by Kierra Darshell’s Drag Divas in the Terrace Tent. 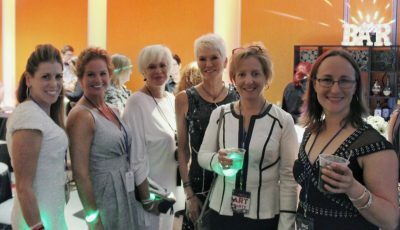 The trio, consisting of Kierra Darshell, Ronnie Angelique and Miss Reanimation, performed individually before coming together for a high energy performance of ‘I’m Every Woman,’ pulling audience members on stage to join in the dancing. 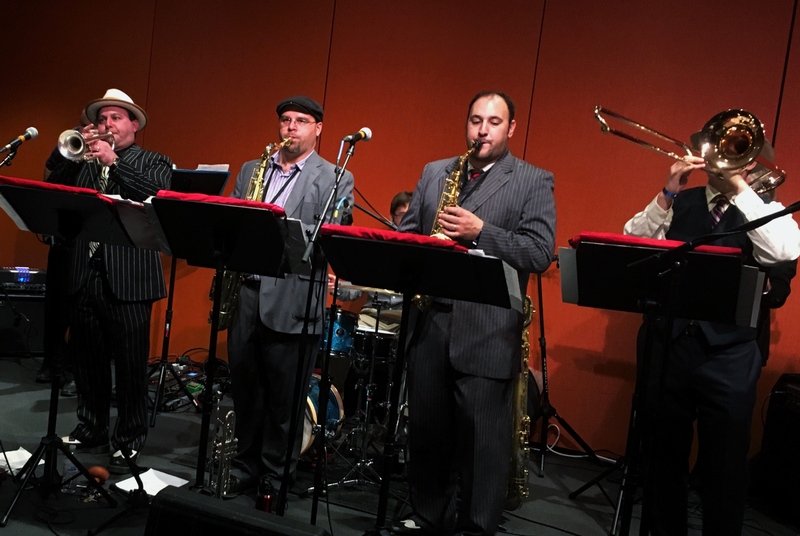 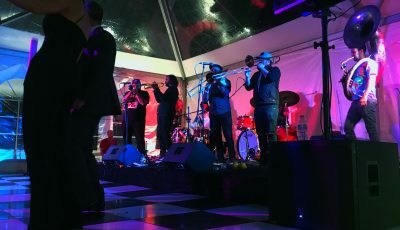 The Big Art Party finished off the night with High and Mighty Brass Band, a young vibrant group from Brooklyn who combines classic New Orleans Funk and R&B with more modern Afro-Beat and Hip Hop influences. 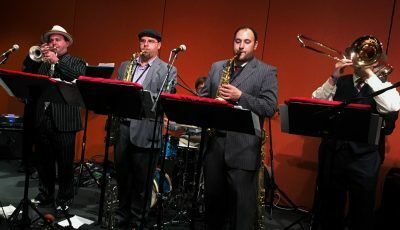 The refreshing and inspiring performance was one of the major highlights of the evening as they connected with audience members and brought forth an electric energy that lasted the night. 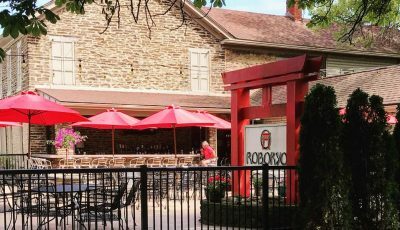 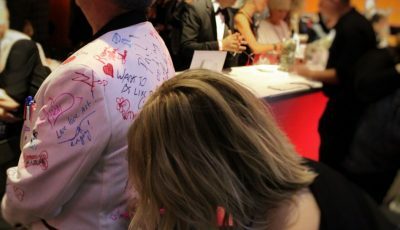 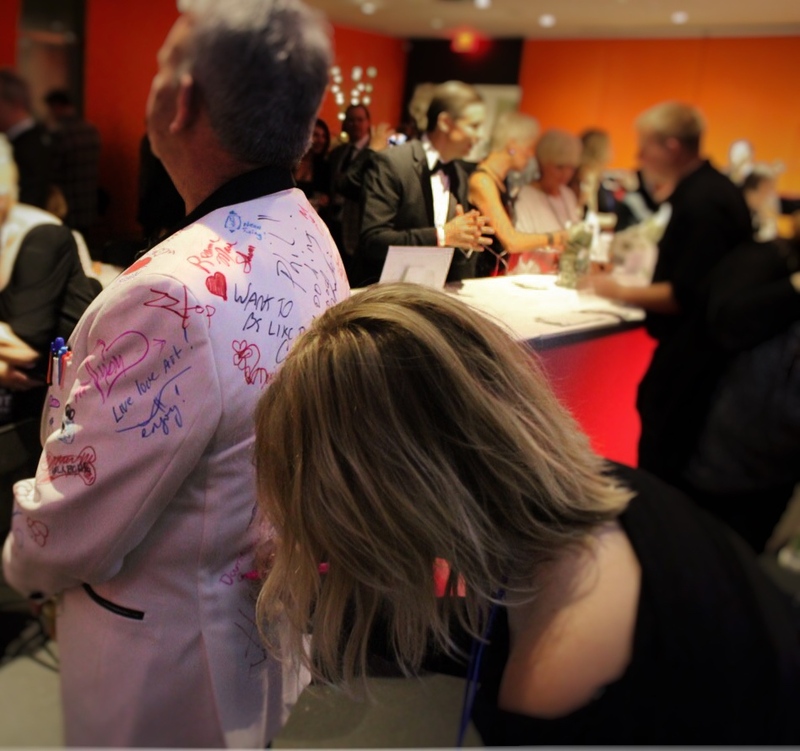 A Silent Auction, Create Your Own Dessert, bites from Tapped Brick Oven and Pourhouse, Sun Dawg Cafe and a photo booth from Powerbomb Productions and Moxie Photo Booth rounded out the evening.